Colombia had existed as this vague, nebulous concept in the back of my mind for years — my friend Stephanie was the child of Colombian immigrants, and would venture south every few years, only to return with trinkets and tales of crumbling colonial strongholds and idyllic beaches. My mental picture of Colombia was entirely contained within Stephanie — most of what I knew, she told me. However, most people I knew had a very different view of that country. The civil war that plagued Colombia for over half a century defined the entire nation in the eyes of most Canadians, with good reason. The threat posed by the Fuerzas Armadas Revolucionarias de Colombia (known more commonly on this side of the equator as “the FARC”) was a serious consideration for any traveller in recent history. The reactions we received from our classmates split into two categories: “Aren’t you scared of the kidnappings?” or, “Are you going to do cocaine?,” neither of which were true. From the perspective of a traveller, it’s a nation on the rise with plenty of hidden secrets to offer those of us intrepid enough to seek them out, so when the idea was proposed that we should celebrate our graduation in Colombia, I immediately said yes. I had only a short time to plan – a few months which were not nearly enough to pick up conversational Spanish, learn the entire history of the nation, and get vaccinated against the various tropical viruses I was sure were lurking in every mosquito. And yet, I said yes. Unprepared, under-informed, and completely unsure of what I was getting myself into. 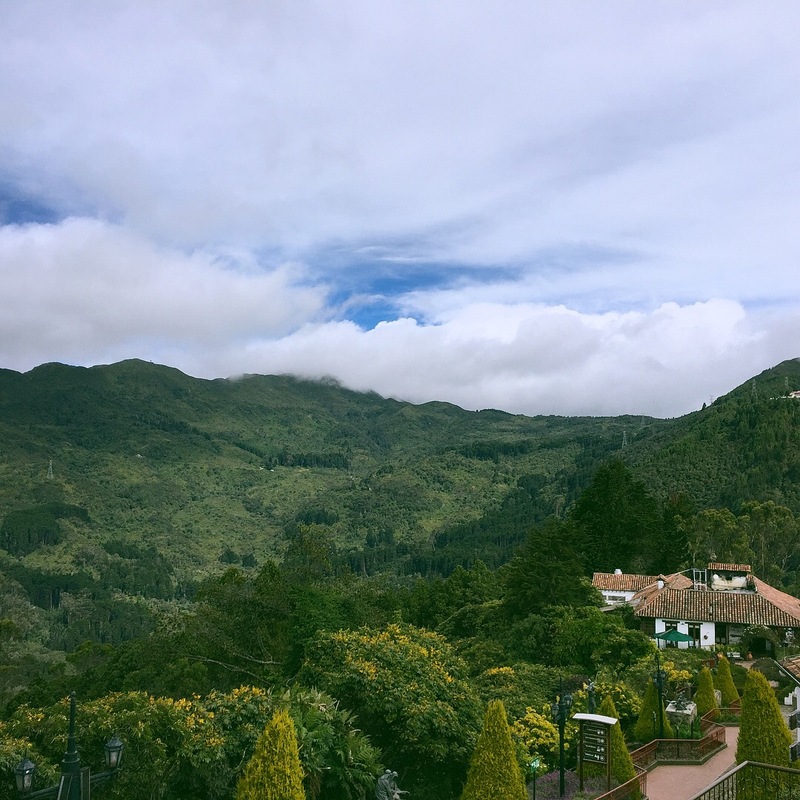 Our first stop after two arduous flights was the capital city of Bogotá, a sprawling metropolis nestled within the hills of the Andean highlands. Bogotá’s rapid urban expansion has turned it into a strange melange of space age glass skyscrapers and crumbling colonial houses, all forced into a tiny valley at an elevation of 8,660 feet. Bogotá feels breathless — whether it’s the fast-paced lifestyle that’s gripped the city, or the heavy pollution at a high altitude, something about the city makes you forget to breathe. 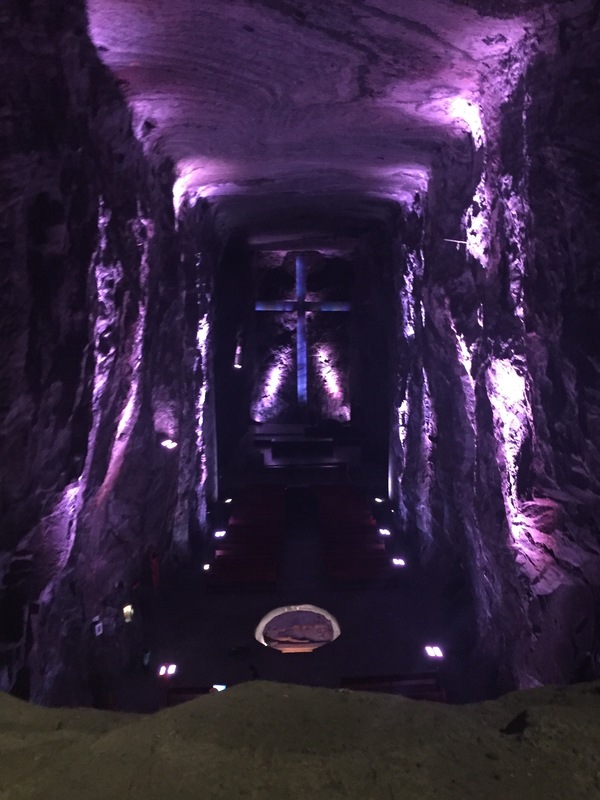 Our first day trip from Bogotá took us to one of Colombia’s best-kept secrets: La Catedral de Sal. It was initially described to me as a “church made of salt” — you can imagine the mental image that provides. I expected a little chapel chipped out of an old salt mine, with kitschy religious figurines. Once again, I was underprepared and woefully misinformed. The cathedral itself takes up the entire mine, with cavernous halls that stretch so far into the gloom that you can’t see the end. The walls have bas-relief crosses hewn from the salt deposits that first drew miners to the region. Every room is lit with black lights, and the runny sounds of Ave Maria played over speakers echo in and out. The expanse of the cathedral felt like a subterranean city, complete with cafes and movie theatres, confession booths and gift shops. We moved on to the highlands of the Cordillera Centrale, which contains one of Colombia’s few UNESCO world heritage sites. Rather than designating a specific building as a heritage site, the entirety of Colombia’s coffee-growing landscape has been given protected status.The Cordillera Centrale is how I imagined all of Colombia — a dense, Andean jungle, dotted with coffee plantations and groves of wax palms growing taller than any of the buildings. Nowadays, the little towns dotting the mountainsides are sprouting restaurants and guiding services, gift shops and hip coffee shops that put Kitsilano to shame. Once in a while you’ll even see a backpacker making their way through, armed with a Lonely Planet guide as they brave this newly emerging route. The Cordillera Centrale felt to me like another planet — the jungle was full of strange birds and creepy crawlies, the tropical climate felt suffocating, and every time we walked into town, I was a fish out of water in all my backpacked, sunburned, no-hablo-español glory. However every person we met treated us like a dear friend, suffering through my stumbling mispronunciations. One of Colombia’s greatest strengths is its cultural and natural diversity. Of course, it has some of the highest rates of biodiversity in the world, but I am referring to the vast range of cultural experiences contained within a country about twice the size of my home of Alberta. 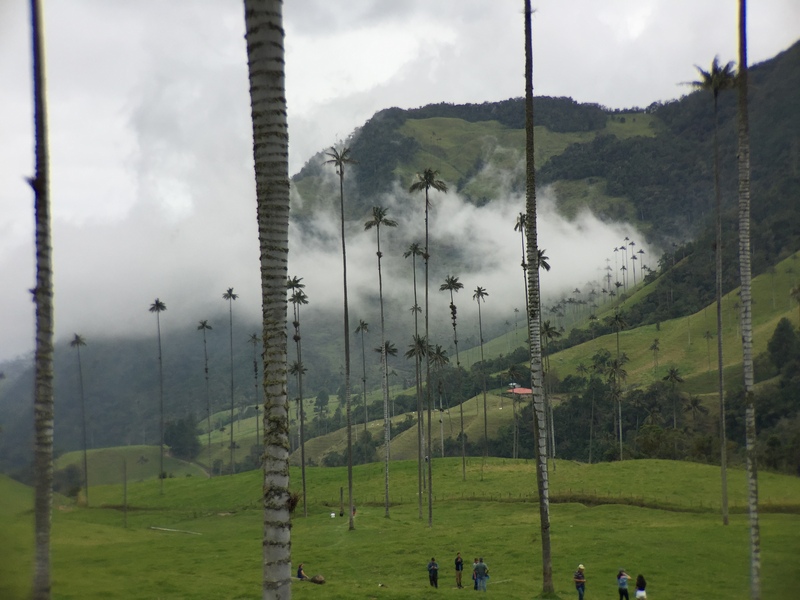 From the modern, cosmopolitan atmosphere of Bogotá, to the wild jungle of the Cordillera Centrale, Colombia’s range of landscapes is unbelievable. Further north from the capital, we came to Cartagena Las Indias, a former colonial stronghold on the Caribbean coast. Driving through the city I was convinced we had made a mistake — surely this was some old-world bastion in Spain, not the northern tip of South America? Cartagena’s stone walls contain a myriad of charms: from white-washed basilicas to pastel-pink opera houses, the city’s particular flair resembles the French Quarter of New Orleans more than it does Bogotá. 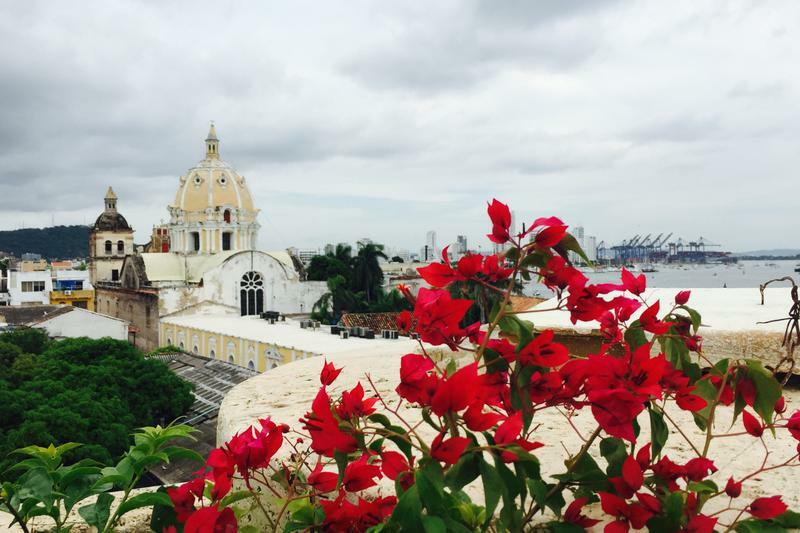 With begonias and frangipani spilling from window sills overlooking narrow, cobblestoned streets, Cartagena is a step back in time. Every morning, we were hit with a wave of heat upon leaving the hotel, and every night we ran back to escape the thundering tempests that rolled in off of the Caribbean like clockwork at sunset, carrying with them lightning flashes so frequent you could capture them with your phone camera. When I came home from Colombia, the questions everyone asked were the same: “Was it dangerous?,” “Were you scared?,” and as always, “Did you do cocaine?” Now, I just shake my head and laugh when they ask. I understand that it can be hard to comprehend somewhere like Colombia: most of us grew up hearing about it only as one of those scary places they reference in CNN. I was scared before I left. I was terrified. I was haunted by thoughts of dengue fever and chikungunya virus, of armed militants and bombed out cities. Even on the plane there I was anxious — I didn’t feel prepared, or informed, or ready in any sense – but there was no turning back form the greatest adventure I have embarked on to date. I have never been happier in my life to be so misinformed.